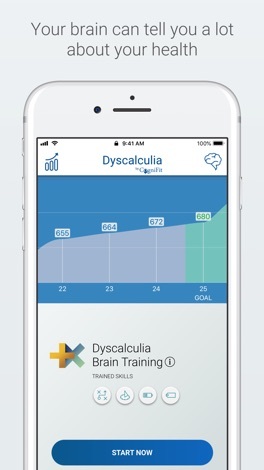 CogniFit Dyscalculia is an App designed to help screen cognitive impairment related to dyscalculia and to help train, through clinical exercises, the cognitive skills affected by this disorder in children and adults. This medical app is accessible and very easy to use. It has been created by a team of neuropsychologists and clinical psychologists who are experts in neurodevelopmental disorders. 1- DYSCALCULIA TEST: Neuropsychological evaluation battery to help detect the risk index of dyscalculia. 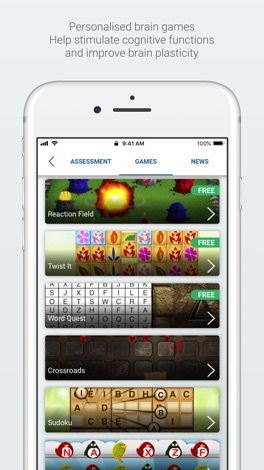 CogniFit Cognitive Assessment Battery for Dyscalculia (CAB-DC) is a leading professional tool made up of clinical tests and validated tasks, aimed at quickly helping detect and evaluate the symptoms, traits, and dysfunctions in the cognitive processes affected by dyscalculia. This innovative dyscalculia test is a scientific resource that provides a complete cognitive screening, makes it possible to understand cognitive strengths and weaknesses, and evaluates the user's risk index for dyscalculia. This test is aimed at children 7 years and older, teens, and adults. Any user, both individual and professional, can easily use this neuropsychological assessment battery. The results of the assessment are available automatically after completing the assessment, which usually lasts about 30-40 minutes. Note that CogniFit does not directly offer a medical diagnosis of dyscalculia. Indeed, this learning disorder implies a significant and persistent learning difficulty that affects the linguistic abilities associated with mental calculations. Clinical history and the evaluation of different areas, especially neuropsychology, are still the most effective tools to diagnose dyscalculia. 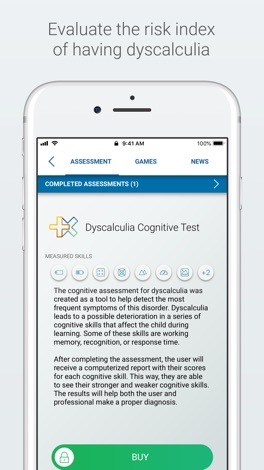 CogniFit recommends using this dyscalculia test to complement a professional diagnosis, and never as a replacement for a clinical consultation. 2- ACTIVITIES, EXERCISES, AND BRAIN GAMES TO HELP TREAT DYSCALCULIA SYMPTOMS: How to treat dyscalculia? 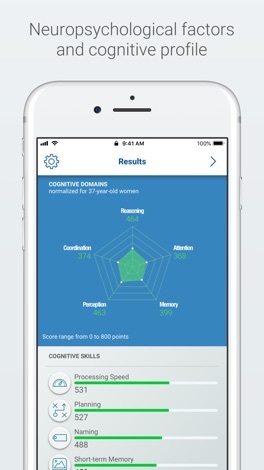 Through simple brain exercises and activities, CogniFit is able to help stimulate the network of neural connections in charge of processing numeric language. This brain fitness program was designed by a team of neurologists and cognitive psychologists specialized in neurodevelopmental disorders. It is designed to help improve cognitive deficits related to dyscalculia. CogniFit has become a diagnostic reference intervention tool for learning disorders. Its exercises adapt to the cognitive characteristics of each person, which results in helping to reduce the number of errors in preoperative and operative thinking, correspondence, reversibility, classification, and ordering. This clinical program is simple and accessible to parents and teachers who are not specialized in the use of cognitive stimulation batteries. It is recommended for children over 6 years old, teens, and adults. Every training session only takes 20 minutes 2-3 times a week. This professional solution allows to work on brain plasticity and strengthen neural connections while having fun. Note that CogniFit does not treat dyscalculia but can help improve cognitive skills affected by the disorder. CogniFit membership will automatically renew at the end of each period, and your account will be charged, unless auto-renew is turned off at least 24-hours before the end of the current period. You can turn off auto-renewal at any time and manage your subscription from your iTunes Account Settings, however, there will be no refund for the unused time. Margó Irodalmi Fesztivál: ötnapos színes, rendhagyó író-olvasó találkozó. Irodalom másképp. A fesztivál minden programjára ingyenes a belépés. Minden, amit az idei Margóról tudni kell: programok, szereplők, helyszínek. Állítsd össze saját műsorfüzetedet az alkalmazás segítségével! Olvass a programokhoz kapcsolódó ingyen könyvrészleteket. "Hola! Mexico" includes over 70 high resolution iMessanger images which are sure to brighten anyones day. Enjoy!